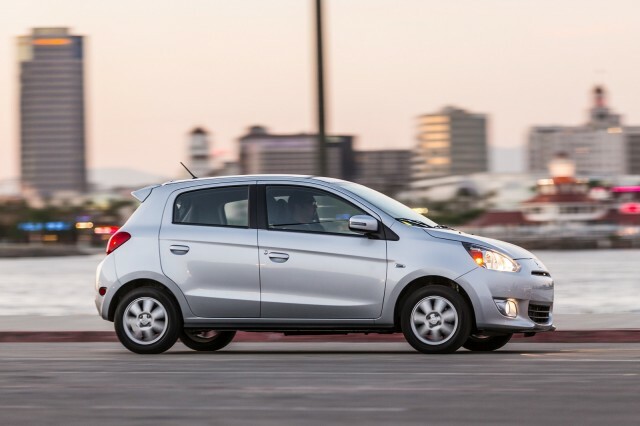 The size and performance of the 2015 Mitsubishi Mirage may recall 1980s economy cars, but in one area, the new minicar is a clear improvement. The Mirage, introduced last year, is about as basic as a new car can get--but it performed well on crash tests recently conducted by the National Highway Traffic Safety Administration (NHTSA). Newly-released test results (via The Car Connection) show that even a small car like the Mirage doesn't have to skimp on safety. 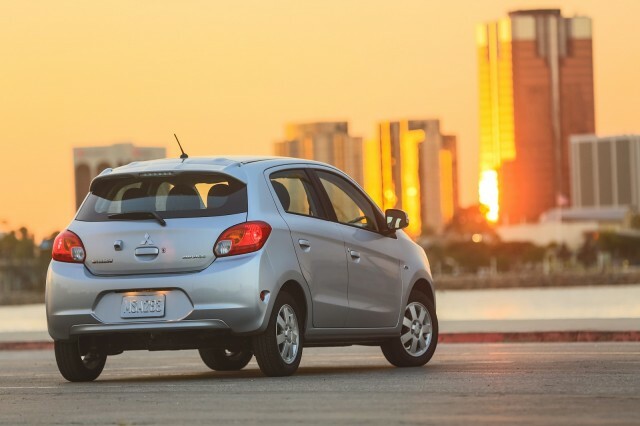 Federal New Car Assessment Program (NCAP) crash-test results were recently released for the 2015 Mirage (ratings for the 2014 model aren't available), and they're fairly good. The Mitsubishi minicar earned four-star ratings in all frontal-crash subcategories, and five-star ratings in all areas of side-crash testing. 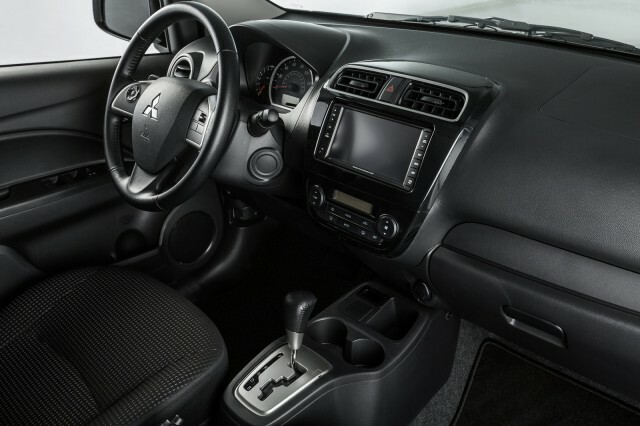 Earlier this year, the Insurance Institute for Highway Safety (IIHS) also found the Mirage to be a decent performer, with one glaring exception. Its ratings--which apply to 2014 and 2015 models--include top "good" scores in all categories except the small overlap frontal test, where the Mirage was given the lowest rating of "Poor". The small-overlap test--which simulates an off-center impact with a narrow object such as a tree or pole--is a relatively new addition to the IIHS testing regimen. Many older or smaller cars --particularly those of the Mirage's size--don't perform well on the test. Of the comparable cars tested, only the Chevrolet Spark and Honda Fit achieved the "acceptable" or better ratings necessary to get an IIHS Top Safety Pick rating. Still, the Mirage's respectable Federal ratings provide an added plus point alongside its impressive EPA fuel-economy ratings. The 1.2-liter three-cylinder gasoline engine is rated at 40 mpg combined (37 mpg city, 44 mpg highway) with the CVT automatic transmission, or 37 mpg combined (34 mpg city, 42 mpg highway) with the five-speed manual. That comes at the cost of refinement and--with just 74 horsepower on tap--some highway performance, but the Mirage's safety scores show how even the most basic cars have improved over the past couple of decades.